Alcohol-related highway fatalities has greatly decreased since laws lowered the BAC limit to .08 percent. What could a .05 limit bring? One drink might earn you a DUI, if states listen to new recommendations from the National Transportation Safety Board (NTSB). Although the number of alcohol-related highway fatalities has dropped significantly since America lowered its blood alcohol concentration (BAC) limit to 0.08 percent, the current cutoff point isn’t exactly a gold standard, says the NTSB. The NTSB, which studies transportation accidents and works to resolve safety issues, has proposed all 50 states lower their BAC limit to 0.05 percent, claiming many drivers already experience cognitive and visual impairments at that level. 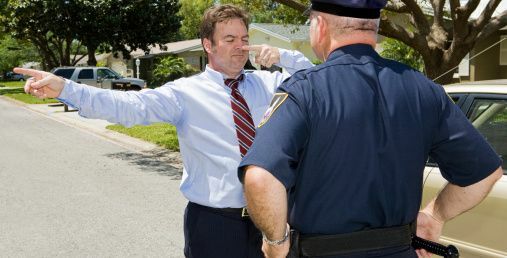 In addition to lower BAC levels, the NTSB wants to see law enforcement more swiftly confiscate licenses; lawmakers enact tougher penalties for first-time offenders; and officers use passive alcohol sensors more often. The NTSB presented these recommendations on the 25th anniversary of the infamous Carrollton, KY bus collision, one of the deadliest drunk driving crashes in U.S. history which killed 27 people and injured 34, including the drunk driver, Larry Wayne Mahoney. The NTSB asserts 0.08 percent is too high, but BAC limits weren’t always as low as they are now. The current BAC limit is actually 0.07 percent lower than the 0.15 percent limit of the early 1980s. Since the 1980s, advocacy groups—specifically Mothers Against Drunk Driving (MADD)—have pushed for lower BAC limits and tougher DUI laws. Progress spanned a few decades, but America saw the final state lower its BAC limit in 2004. Thanks to stricter laws, the number of alcohol-related traffic deaths has been cut in half, from 20,000 in 1980 to just fewer than 10,000 in 2011. Obviously, certain groups and businesses are more interested than others in America’s alcohol consumption—but not all of those groups are in agreement with the NTSB or each other, for that matter. The NHTSA states it no longer uses that chart, but ABI Managing Director Sarah Longwell calls the proposal “ludicrous,” and claims lowering the BAC limit to 0.05 percent will only criminalize responsible behavior. The Beer Institute defended the current BAC limit less aggressively, stating it will examine the NTSB’s proposals but still encourages lawmakers to direct their efforts where they’re more likely to see results (such as getting tougher on repeat offenders). Regardless of where they fall on drunk driving law changes, private citizens, business, and advocacy groups will have to sit tight—at least for a little while. Despite being a federal agency, the NTSB can’t actually impose new safety laws; it can, however, use its studies to recommend safety regulations to state and federal agencies, including legislature. The board is trying to work with other agencies to set these laws in motion, though, and is recommending that the NHTSA offer financial incentive to states if they enact the proposed regulations. Although Americans have been allowed to drive with BAC levels as high as 15 percent in the past, 0.05 percent isn’t exactly unprecedented. To date, more than 100 countries set limits at 0.05 percent or lower, according to the NTSB. Considering some government research states people with 0.05 percent BAC levels are 38 percent more likely to have an accident—compared to the 169 percent likelihood faced by drivers with 0.08 percent levels—some drivers could see states lowering BAC limits in the future. 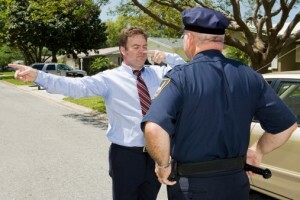 How would you feel about stricter drunk driving laws in your state—including lower BAC levels? Let us know in the comments below!